Details: This video was a co-production with Green America based on an infographic designed for the summer 2016 issue of “the Green American” magazine. 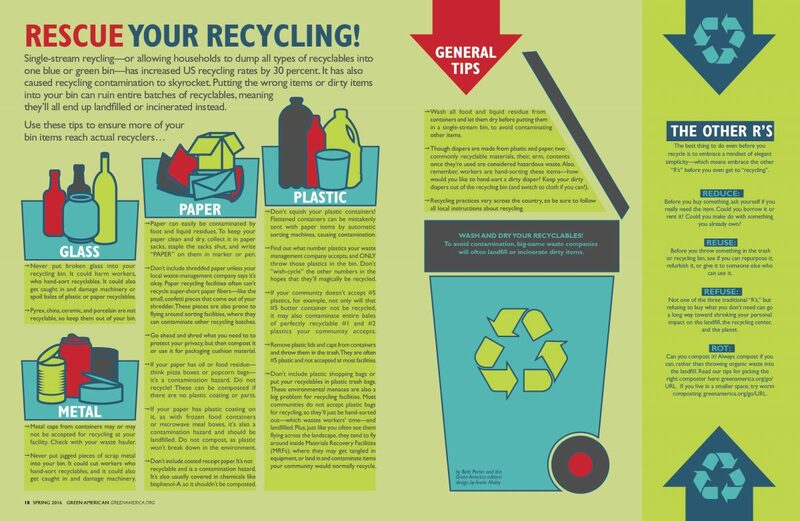 The goal was to shed some light on the streamlined recycling system and how we can get much more of our waste products recycled if we follow the special guidelines. The video highlights the overall topic and points to the infographic and articles for more information.